1955 - 1985: The UCLA Neurosurgical Training Program began in 1955 with the opening of the UCLA Medical School and Hospital. Dr. W. Eugene Stern served as the first chief of the newly formed Division of Neurosurgery within the Department of Surgery. Dr. Stern was American Association of Neurological Surgeons President (1979-80) and the 1992 Cushing Medalist of the American Association of Neurological Surgeons. Prominent faculty under Dr. Stern's leadership included Dr. Robert Rand, who was a pioneer in establishing the field of microneurosurgery. Dr. Peter Janetta became an early leader in the development of microvascular decompression for trigeminal neuralgia. Dr. Paul Crandall advanced the surgical treatment of epilepsy. The 1978 issue of Surgical Neurology listed UCLA in the top seven neurosurgical training programs (out of 92) in the country. 1985 - 2002: Dr. Donald P. Becker became the Division Chief in 1985. Dr. Becker established a programmatic approach, developing Centers of Excellence and recruiting subspecialists from the United States and around the world. The faculty grew, as did the surgical caseload and residency training program. In addition to developing a highly academic and active clinical service, Dr. Becker also promoted a strong basic research foundation. The Guglielmi Detachable Coil for aneurysm coiling was developed at UCLA during Dr. Becker's tenure. 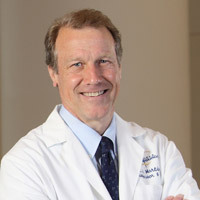 2002 - 2017: Dr. Neil Martin took over the role as Division Chief in 2002 and has continued to move UCLA Neurosurgery forward into the 21st century. Dr. Martin has been focused on seizing the opportunities presented by burgeoning new technologies and biomedical advances. The program was awarded Departmental status on July 1, 2009, with Dr. Martin becoming the first Department Chairman. Today the Department trains clinicians and basic scientists from around the globe. In addition to the formal residency program, research and clinical fellowships are offered in several subspecialties. There are currently more than five postdoctoral students completing studies in basic neurosciences as well as visiting scholars from Europe, Asia, and South America. 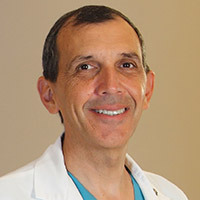 In 2012, Dr. Marvin Bergsneider assumed the position of Residency Program Director. Dr. Bergsneider has a passion for education, and has guided and enhanced the residency curriculum to meet a rapidly evolving neurosurgical educational, clinical and research landscape.